A new programme is bringing water and hope to family farmers. 18 October 2018 (FAO)* – Like many farmers in Senegal, Guilé Mané used to struggle through the dry season. Rainfall here can be very low and irregular, even in the rainy season. 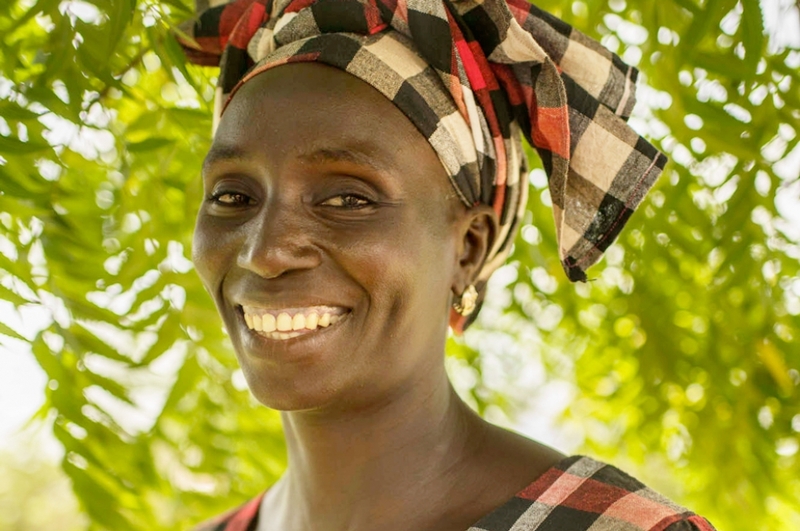 “We were working in the fields during the rainy season, but we did not do anything during the dry season,” says Guilé, 39, who heads a farmers’ association called Diapo Ande Liggeye (United to Work) in her home area of Keur Bara Tambédou. The lack of water meant crop and food shortages, more frequent illnesses, and insufficient income from the sale of whatever the farmers managed to grow. Guilé and the other women had to walk long distances to reach sources of clean water and use part of their income to pay for it. Now, Guile’ says, her life has changed because of a new water-gathering and storage system put in place through FAO’s “1 million cisterns for the Sahel” programme, which focuses on vulnerable rural communities in arid and semi-arid regions of five countries affected by climate shocks. Inspired by a similar programme implemented in Brazil through its “Fome Zero” programme, this initiative aims to give access to safe drinking water to millions of people across the Sahel. The idea is to improve families’ lives on a number of levels. The programme helps families to increase what they grow for nutrition and for income, helps to improve health and, ultimately, builds the resilience of millions of families, especially women. The women, their families and local masons were trained to build cisterns for year-round water storage. The cisterns hold water harvested from a collection area such as the rooftop of a hangar or shed. The beneficiaries and masons were paid for their work while the farmers received training in climate-smart agricultural practices. Guilé has noticed local families are healthier, in part, because they regularly eat higher-quality food that is produced locally, year-round, using natural and sustainable techniques. The programme has also empowered women financially. Through the farmers’ association, the women have created a fund with proceeds from their market sales. Each woman is able to withdraw money to meet household or personal expenses before paying it back at the end of the month. This also means that their children get to stay in school. The farmers are now looking to the future by pooling their profits to extend their growing area, something that would have been unthinkable of without water. By providing access to clean water and investing in people’s livelihoods, FAO is empowering them to take action and be a part of the global goal to achieve Zero Hunger.